Lemon Queen sunflower with bumble bees. 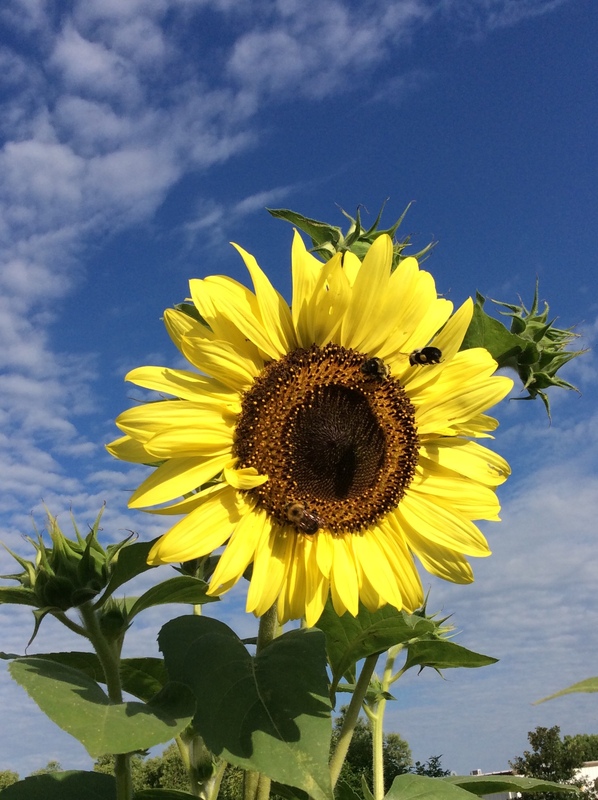 On Monday the Lemon Queen sunflowers were finally blooming. My daughter and I planted them in May for the Great Sunflower Project. We will do a pollinator count when there are a few more flowers open. The bumble bees, honey bees, solitary bees and many other pollinators have found their beautiful flowers.